How do I know if I'm running right? Most of us never really learned how to run. We started walking as a child and running came naturally soon after. In fact, that's the appeal for most people who take up running for exercise: you lace up your shoes and go! If running was so natural, why do injuries occur? Even though we know how to run does not mean we do it efficiently. That said, many people take advice from friends, books, and running magazines, about the right way to run. Such advice is often problematic, since everyone runs a bit differently. For instance, one runner used a heel strike and another with a midfoot strike. Neither is wrong, per se, but depends on many factors, including foot type and the associated biomechanics. If you are determined to make significant changes in your running gait, you should consider doing so with an experienced running coach. A coach will be able to objectively watch you run an offer appropriate recommendations. There are also times where your running is impacted by mechanical instability. This causes the muscles to work harder and leads to overuse injuries, such as plantar fasciitis, Achilles tendonitis, and shin splints, and also results in getting fatigued quickly. These cases are well managed with custom foot orthotics. 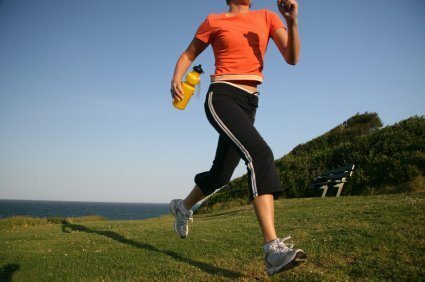 If you are noticing that you can't run as far or as long as you like, contact Dr. Andrew Schneider in Houston, TX. Dr. Schneider will perform a comprehensive biomechanical examination to identify where you are not efficient and will recommend the best treatment to improve your running.